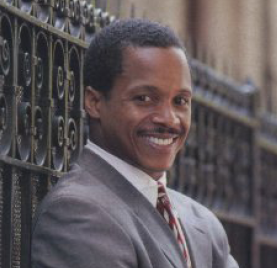 Joseph H. Holland is a Harlem-based writer, attorney, entrepreneur, civic leader and ordained minister with thirty years of experience building institutions that serve the community. Holland’s spiritual memoir, “From Harlem With Love: An Ivy Leaguer’s Inner-City Odyssey” and devotional was published by Lantern Books in 2012. His first stage play, “Cast Me Down”, garnered six AUDELCO nominations and enjoyed a nation-wide tour before running Off-Broadway. His second play, “Homegrown,” experienced two extended runs at Harlem’s landmark National Black Theatre. His inspirational self-help book, “The Touchstones Tools: Building Your Way To An Inspired Life”, was published by Grand Harbor Press in October 2015. Holland conceived and produced “Holistic Hardware: Tools That Build Lives”, a motivational, self-help video series stemming from his work at a homeless shelter he founded and operated for a dozen years. Holistic Hardware is currently being used in programs nationally and internationally. Holland currently serves as president of Kingdom Partners Group (“KPG”), a real estate company whose mission is to financially empower churches through the strategic development of their real estate assets. KPG’s unique strategy is to implement mixed-use development projects that monetize the real property holdings of faith-based groups and other community-based organizations, thus unlocking fresh capital for new and/or improved facilities, social services, community outreach, overseas missions, and a host of other initiatives. Holland has also used his management skills to build commercial enterprises and expand employment opportunities in Harlem. He was instrumental in establishing an American Express Travel Office, a Ben & Jerry’s ice cream parlor, a Body Shop retail store, and Harkhomes, a homeless shelter whose residents found work in these businesses. He served for many years as Vice-President of the Harlem Business Alliance and co-founded the Beth Hark Crisis Center. Holland also served as New York State Housing Commissioner where he orchestrated the planning and funding of hundreds of units of affordable housing in various locations across New York State. Holland has received awards and honors for both his business and social service accomplishments. In 1993 President Bill Clinton recognized Mr. Holland in a White House ceremony for his community-building initiatives. In 1992 the United States Small Business Administration named him Minority Small Business Advocate of the Year for New York State. In 1991 Holland was honored with President George Bush’s Volunteer Action Award and with New York City’s Entrepreneur of the Year Award. He has also received an honorary degree from the City University of New York Law School. A graduate of Cornell University, where he earned a B.A. (1978) and M.A. (1979) and was an All-American football player, Holland has served as a member of the University’s Board of Trustees since 1988. He holds his J.D. degree from Harvard Law School (1982).